No job is too big or too small for our professional landscape & irrigation design team, including our own in-staff landscape architects. We will work with you to make your property a delight to come home to. Futch’s Landscaping has been featured in Waters Edge, Homes & Land, and Florida Trend magazines of Jacksonville. We have also been selected as the Readers Choice award winner for Putnam County for the past three years running. 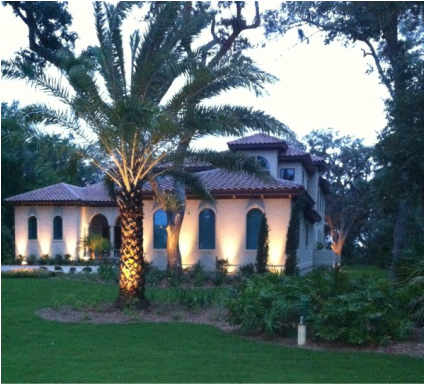 Futch’s Landscaping is the exclusive landscaper for Bryan Lendry Custom Homes, 2007 Northeast Florida Builder of the Year. Futch’s Landscaping has landscaped many different projects including 11 St Johns County Schools and has also worked with ABC on the Extreme Home Makeover project in Hastings Florida.